To say our company is a family business is an understatement. We’ve been so fortunate to have three generations of family owning and operating our business since the beginning. This is the type of service you can expect from Buchanan Fire and Outdoor – We treat you like family. Our story starts back in 1974 when Gentry “Cotton” Buchanan the patriarch of our family, purchased a home heating oil company in Travelers Rest, SC. Since that day Buchanan has always searched for products and services which meet their customers’ needs as well as always making our customers’ satisfaction a number one priority. Our business and transformed many times over the years and we’ve offered a number of services from owning a restaurant to having a produce stand. We always seemed to come back to providing a heating fuel service. We guess you could say that it was always in our blood so we decided to expand our home heating company to include propane and changed our company name to be Buchanan Propane. 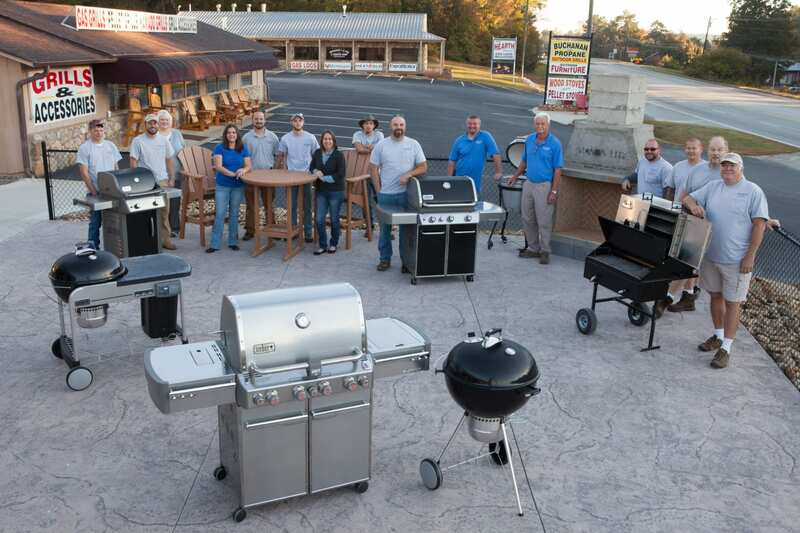 We’ve never settled on doing just one thing so we opened our fireplace and hearth business in 2011 and opened a brand new BBQ showroom in the summer of 2013. With that stated we knew it was time to make a change which would include our home heating products, our propane business, and our new high end BBQ showroom so we changed our company name to Buchanan Fire and Outdoor. What you’ll find at Buchanan Fire and Outdoor is nothing short of top quality products in stock including barbeque grills and other BBQ accessories. We also provide the type of service which beckons back to decades ago when community meant something and businesses cared for their customers like they did their friends and family. That is always our approach; to help you with your questions and make every purchase one where you feel as though you received a superior product, at a competitive price, with top shelf quality customer service. Our goal has always been to build long lasting trusting business relationships with all of our customers, relationships which stand the test of time and economy. We feel very fortunate that during our nearly 40 years of being in business, we have customers who have stayed with us since day one! We hope to do the same with you, please be sure to check out all of the high quality products we have, gas logs, fireplaces, outdoor furniture, and BBQ grills we have for both your indoor and outdoor living areas in Greenville, SC. Thank you and we hope to hear from you soon.